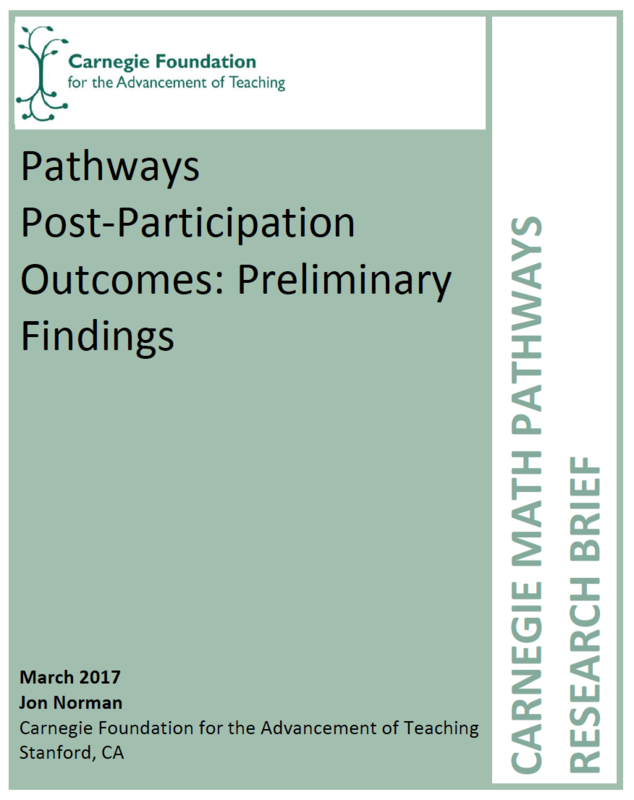 The Carnegie Math Pathways seek to improve outcomes for community college students who take remedial math courses. The Pathways include two comprehensive instructional systems — Statway® and Quantway® — that are designed to support students to achieve the necessary math credits, and ultimately, earn a degree or other credential, either at a two- or four-year institution. In this report, we present initial findings related to degree attainment and transfer for Pathways students.